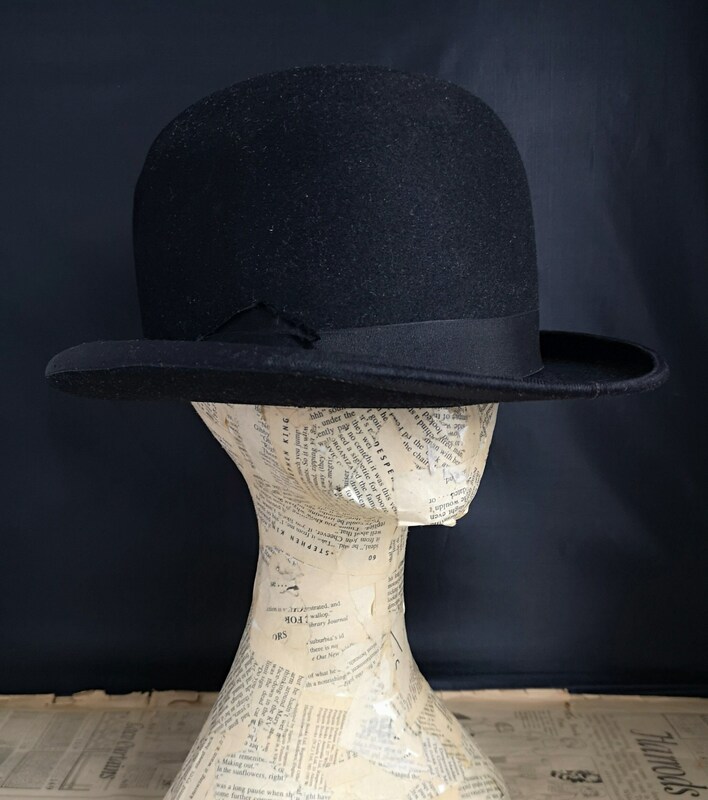 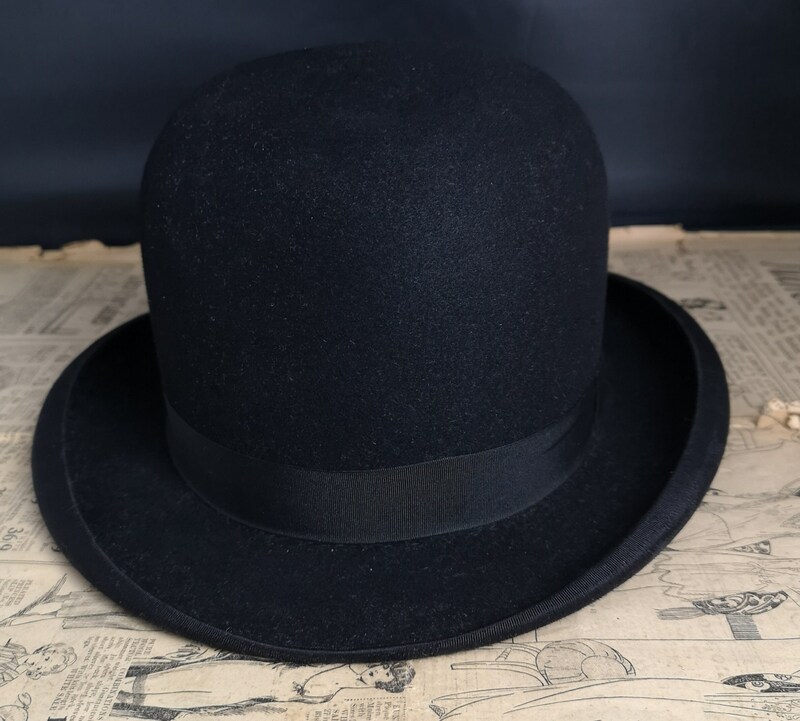 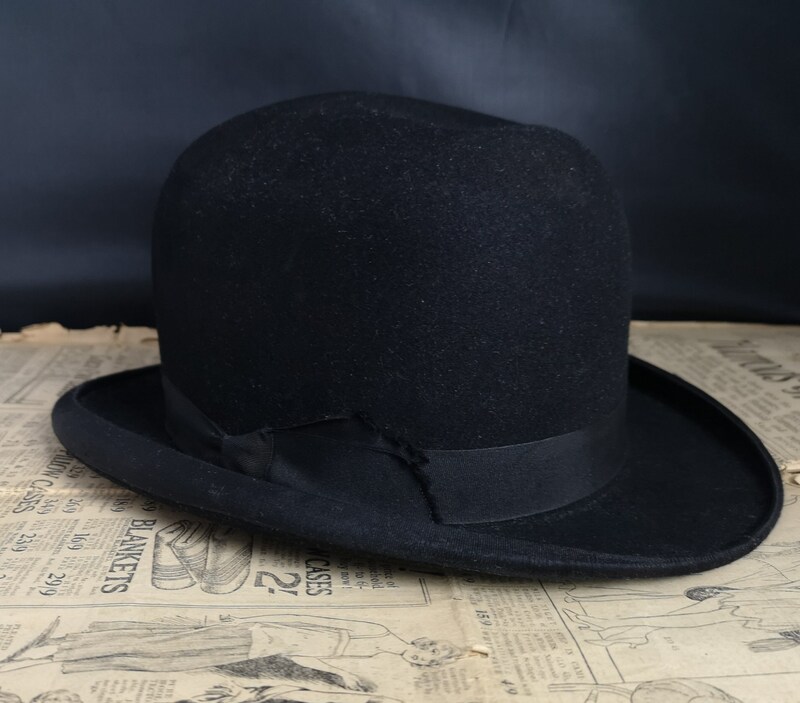 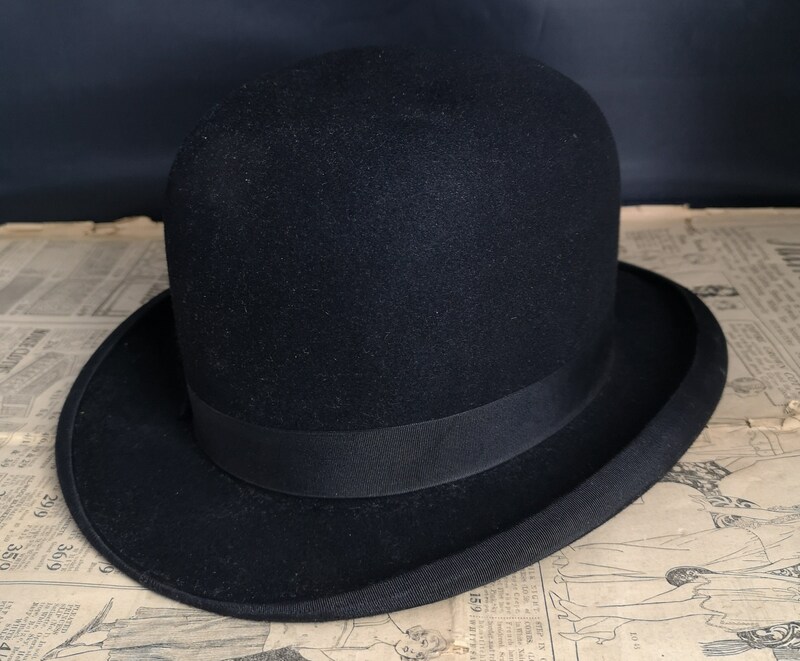 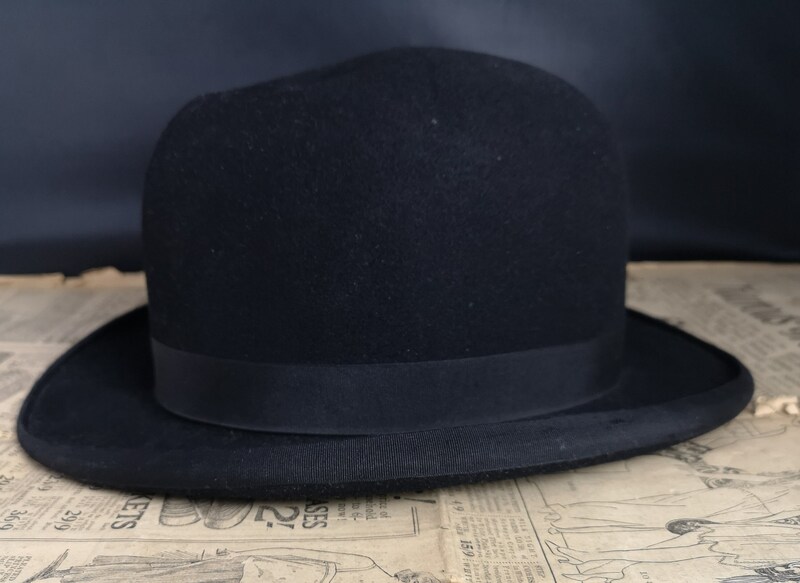 A fine gents vintage black felt bowler hat also known as the Derby Hat. 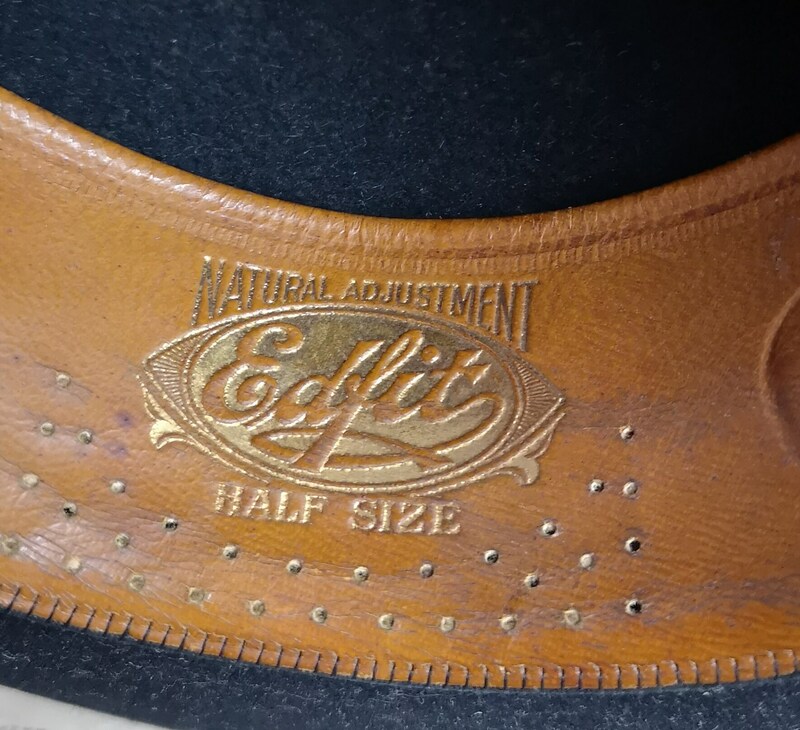 Very renowned maker J Moore and Sons, this hat bearing the Ltd label so post 1909, c1930's it has the embossed edfit logo along with half size. 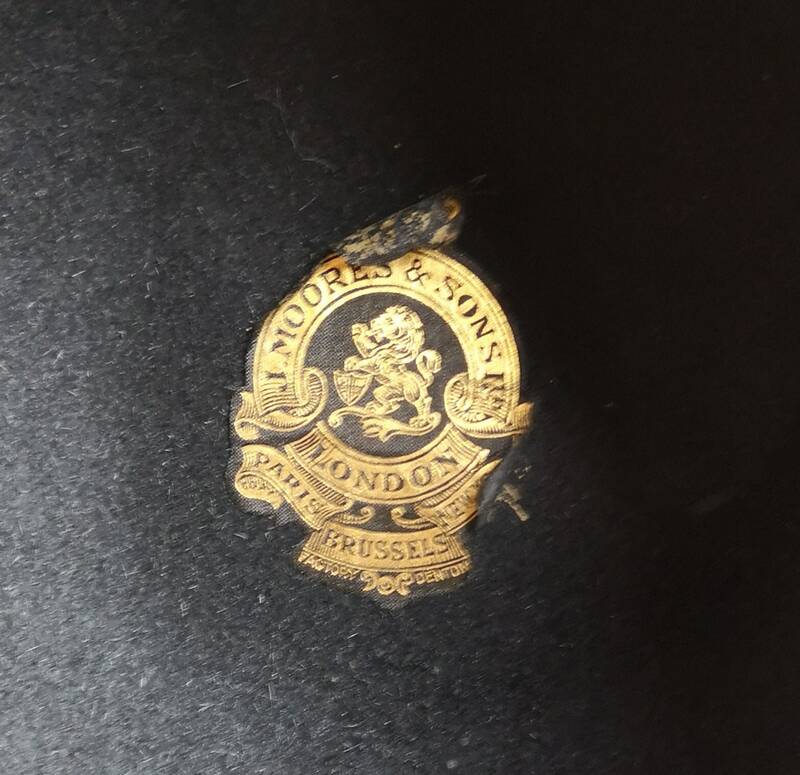 It is also embossed with a coat of arms in the side of the brown leather sweat band. 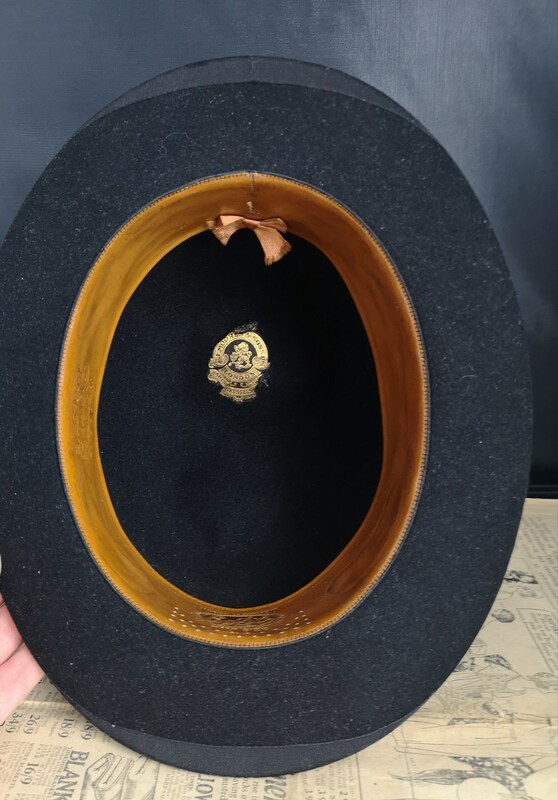 The hat has circular air holes in the top as they were designed to eliminate sweating if the head. 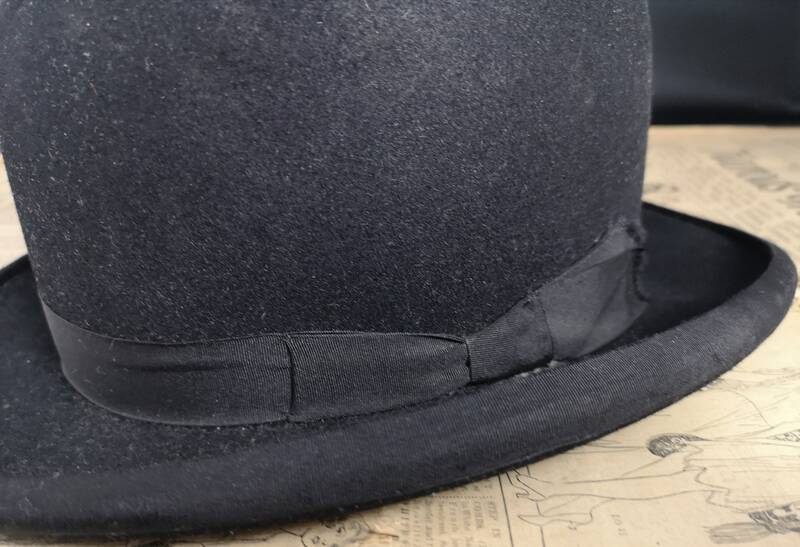 There is a black grosgrain band around the base of the crown and trimming the brim. 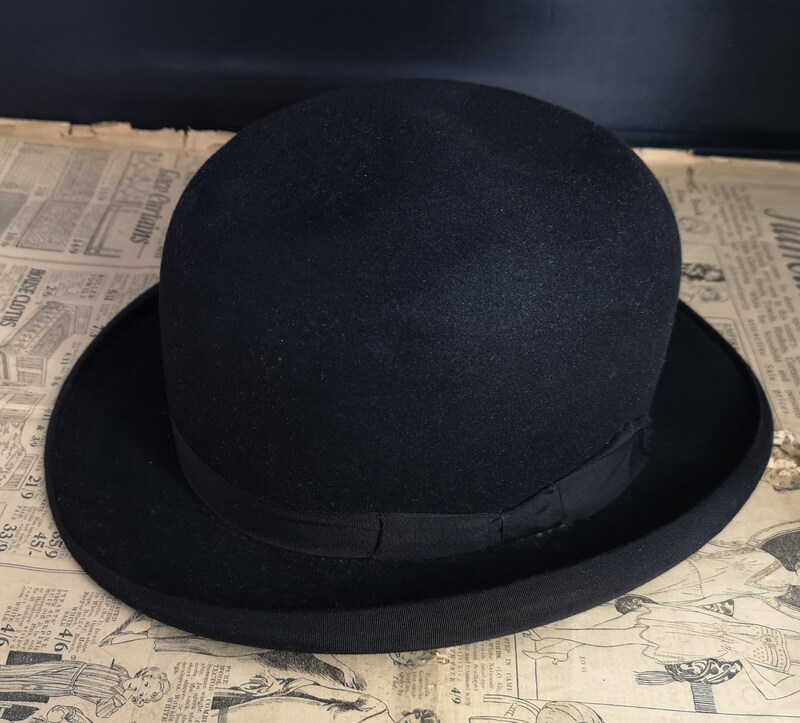 This vintage bowler is in very good condition overall, some signs of use and the inner label is coming away a little.